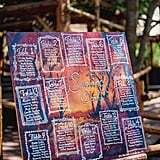 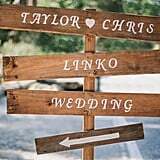 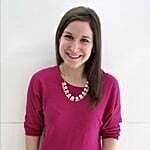 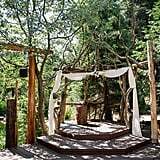 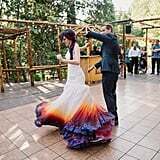 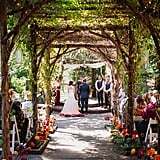 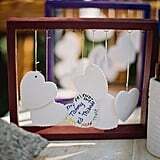 The first major wedding-planning decision that Taylor Ann Linko made was on the venue. 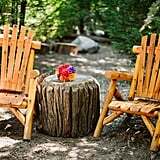 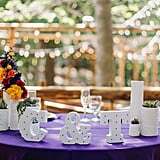 But the space that she and Chris decided on was at the high end of their budget. 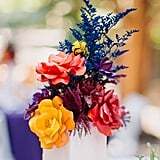 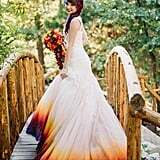 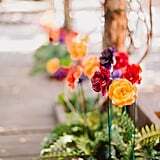 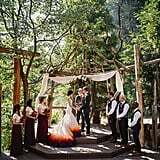 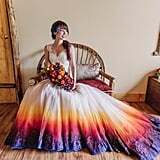 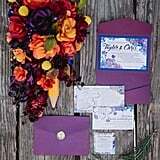 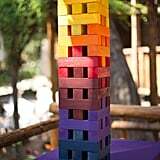 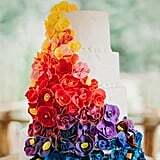 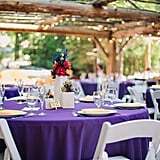 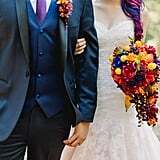 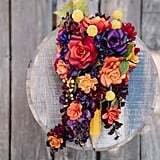 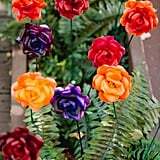 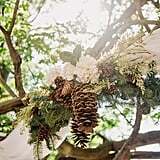 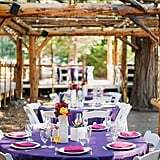 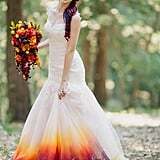 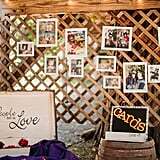 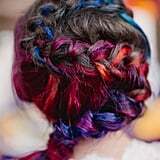 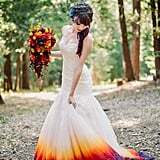 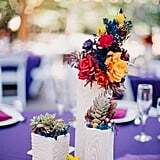 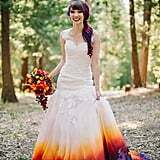 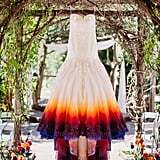 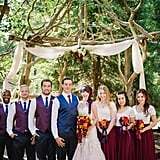 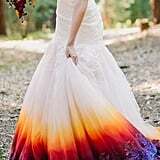 To make up for the splurge, Taylor Ann decided to DIY the rest of their wedding details, and as an art student, she was confident that she could make her vibrant ombré vision a reality. 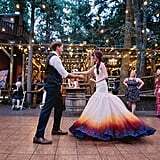 Inspired by the colorful sunsets she used to create for kids while working as a face painter for birthday parties, Taylor Ann decided on an upside-down sunset theme. 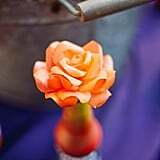 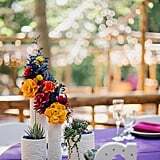 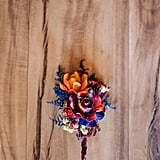 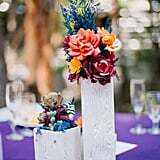 With help from friends and family, the talented bride got to work on vases and ceramic table games for the reception as well as over 400 vibrant paper flowers to decorate the rustic ceremony and reception spaces. 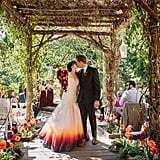 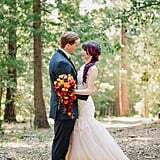 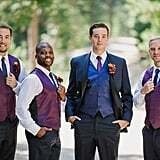 When it came to her dress, Taylor Ann felt obligated to wear white but was still determined to infuse her colorful personality into her bridal look. 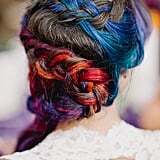 "I watched tons of YouTube videos, colored my hair and extensions, and was constantly thinking, testing, and wondering how I was going to get color on that dress!" 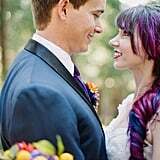 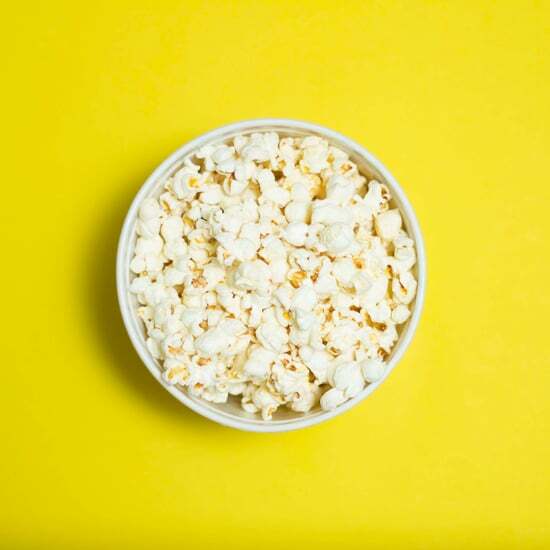 Taylor Ann told POPSUGAR. 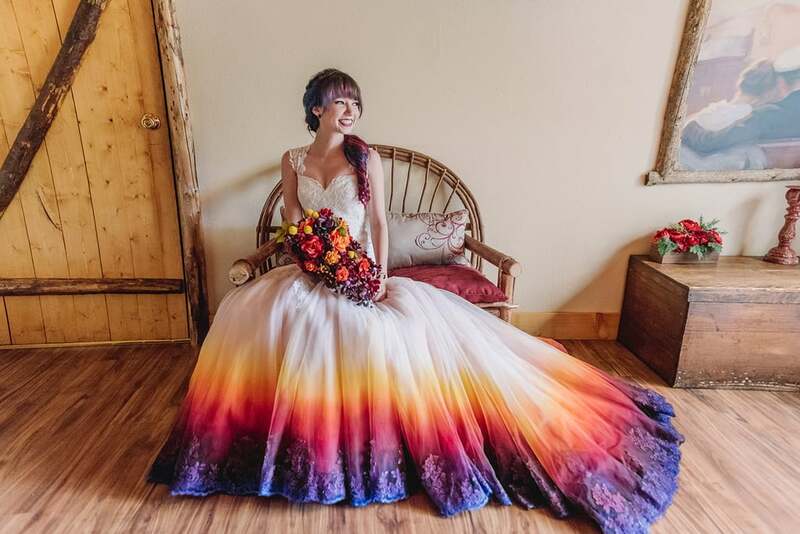 "I wanted to feel like a bride but also colorful, artsy, and a bit crazy — just me. 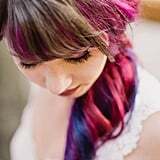 So once I worked up the courage, and a method that just might work, I got to coloring. 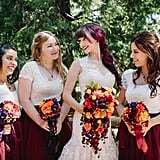 Layer after layer, color after color, and a few weeks later I had the dress I wanted." 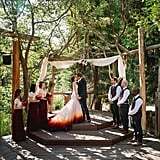 Taylor Ann admits that she was nervous at first about her bold vision but was completely confident on her wedding day. 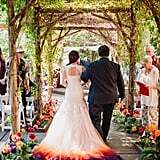 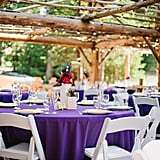 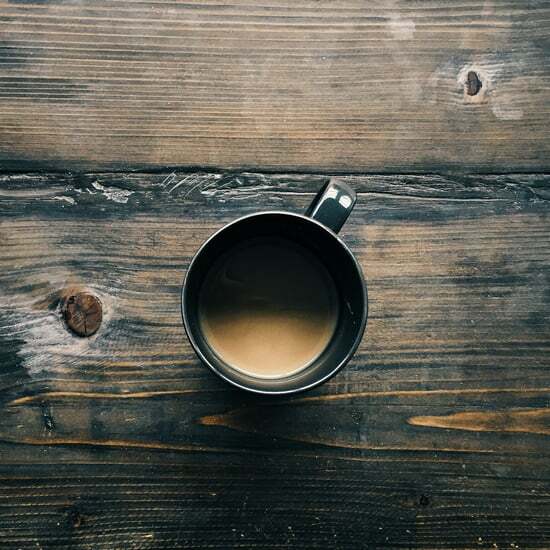 "Once I stepped down that aisle, all of my fears went away. 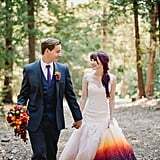 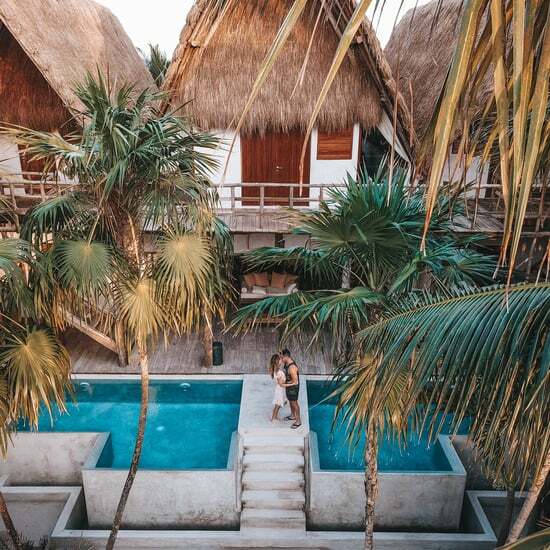 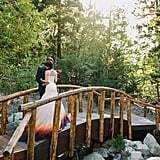 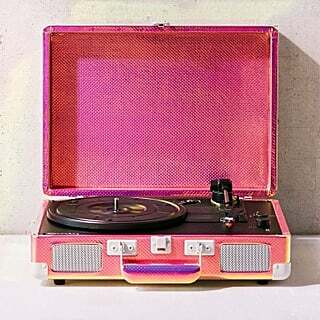 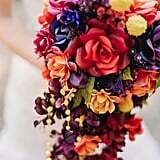 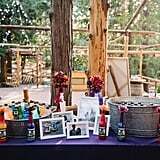 My husband was not surprised in the slightest and loved how colorful everything was, especially me." 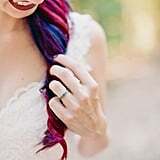 The response to her breathtaking nuptials has been overwhelming, and since getting married, Taylor Ann is now offering her services to other brides. 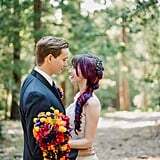 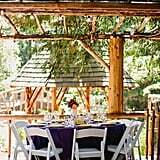 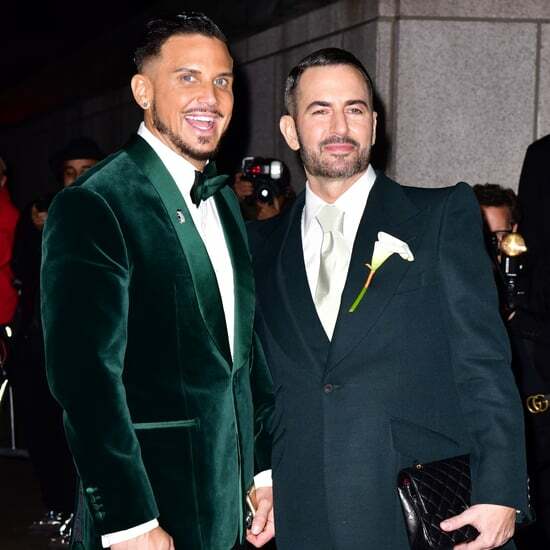 Check out her breathtaking wedding ahead!